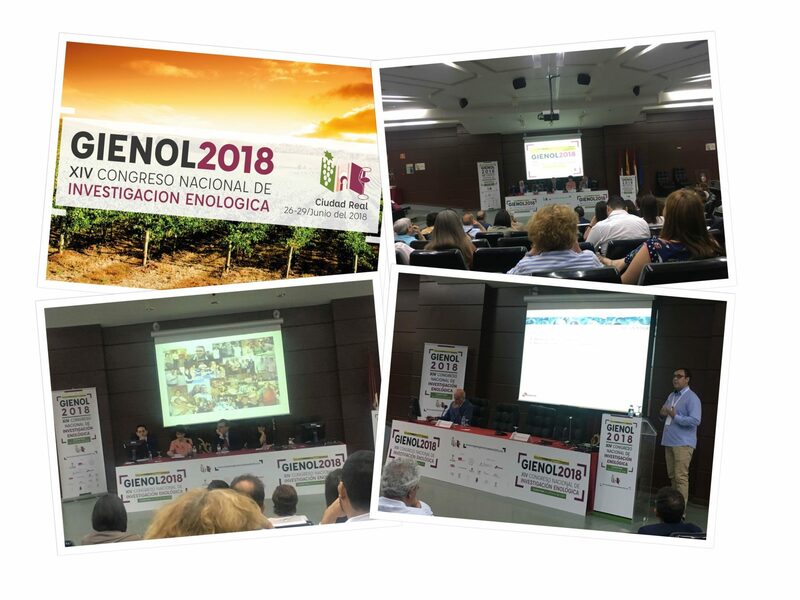 The Campus of Ciudad Real, of the University of Castilla-La Mancha (UCLM), became, during the days 26, 27, 28 and 29 of June, in the capital of the oenological research on the occasion of the celebration of the XIV edition of the National Congress of Oenological Research GIENOL 2018, where more than a hundred researchers gathered from a score of universities and six research centers from all over Spain. Chosen Ciudad Real, for belonging to a region such as La Mancha, with a long history in winemaking and vine cultivation. For the inauguration of the Congress, the Rector of the UCLM, Miguel Ángel Collado, the Minister of Agriculture, Environment and Rural development, Francisco Martínez Arroyo and the President of the Organizing committee and professor of the Regional University, María Soledad, attended. Pérez Coello. A special day: During the opening day of GIENOL 2018, a special homage to the Doctor and Professor Isidro Hermosín took place, a reference in the research in viticulture, incredible professional and magnificent person. In this meeting, we covered the lines of research in which are working, belonging to the area of oenology, in which we can highlight different conferences that were held in Congress as: “Scientific challenges and applications of yeast Alternatives in a climate change context “,” nanotechnology in the Cellar: Challenges and opportunities “,” new technology for the use of vines in viticulture and oenology “or” Application of microbiology for innovation in Oenology “. The broad program proposed, in addition to conferences, plenary sessions and roundtables, the attendees had the possibility to make guided visits to the exhibition of history and archaeology of the wine in Castilla-La Mancha “Vinum Vita Est”, as well as the Virgin wineries of the vineyards and Altoa-Verum, both located in Tomelloso.